NO CITY TAXES! 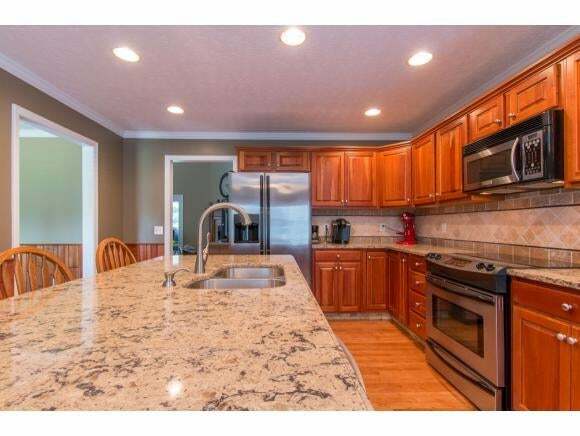 This 4 bedrooms 3.5 bathrooms home is sure to please. Upon entering you will find a charming foyer and an open great room to upstairs. Great room is adorned with gas logs fireplace. 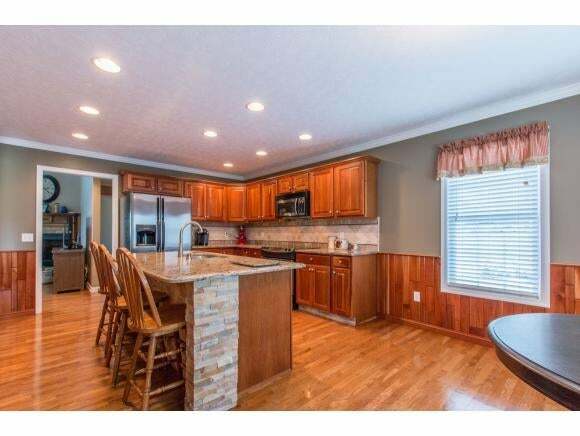 Kitchen has an abundance of cherry cabinetry, stainless steel appliances, quartz counter tops, and quartz kitchen island. Eat in kitchen for every day. Formal dining area for entertaining. Custom cherry wainscoting in the kitchen and formal dining area. Main level master suite with master bathroom that features double sinks, jetted bathtub, separate shower, and walk in closet that has plenty of room for the most savy of dressers. Upstairs you will find 3 bedrooms-2 bedrooms with a jack and jill bathroom and the 3rd upstairs bedroom with full bathroom, could be utilized as second master suite. Easy access, attic storage. Laundry room with cabinet storage. Oversized 2 car attached garage with cabinet storage. Relax on the screen porch with ceiling fan. Hardwood floors, custom finishes, lot wired for invisible fence, and much, much more... 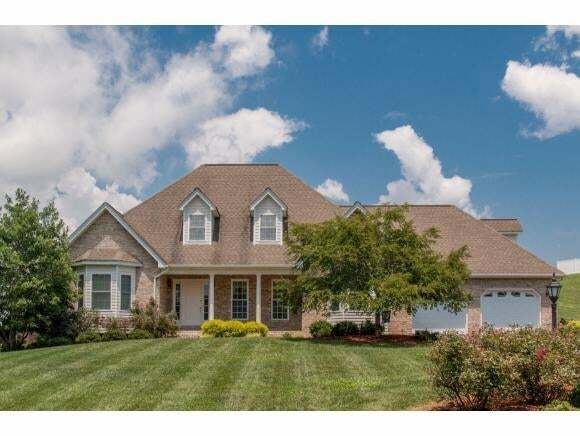 Located on beautifully landscape, nearly level lot in desirable Eagle Ridge, less than 1 mile to 2 prestigious golf courses and within a short distance to shopping and dining in VA and TN. Complete with home warranty. Come see this home for yourself!